Organizational musings: Underselling Labors of Love: Why Give Discounts to Rich Tourists? Underselling Labors of Love: Why Give Discounts to Rich Tourists? The world is full of people in creative occupations. Taking a broad view of creative occupations as those involving work with personal shaping of the product and service, about 40 percent of the world’s workers are in these occupations. Among them, artists and craftspeople are the ones we most readily associate with creative work because they instill their work not only with personal design and careful craftwork but also with a passion that makes each piece a labor of love. We recognize this most readily with artists making one-of-a-kind works, but many craftspeople turning out decorative items also make each piece an individual expression. They should get paid well for this, right? Maybe not. In a new article in Administrative Science Quarterly, Aruna Ranganathan studied the pricing of wood bangles made by craftspeople in southern India, finding that the artistic ambitions of the craftspeople had a surprising effect on the prices they charged, relative to prices charged by traders selling exactly the same goods but not involved in their creation: they gave a discount to buyers who appeared to be especially appreciative of their work. The reason became clear from how they described their work. Unlike traders, who freely admitted selling crafted work just to make money, the craftspeople took personal pride in every piece they made and were especially attached to the best ones. Some items they refused to sell; others they made sure to sell to people who seemed likely to appreciate them and display them prominently. This makes sense, because every artist wants to be acknowledged and wants the work to be appreciated. Indeed, this was especially important to the craftspeople Ranganathan studied, who saw their work as having such strong elements of the sacred that they viewed their workshops as being like temples. But what’s harder to understand is how craftspeople determine whether someone will appreciate their work. Not every transaction involves words, especially in an area that attracts many tourists who don’t speak the local language, as was the case in Ranganathan’s study. Instead, the craftspeople looked at the customers. And the financial decisions they made based on what they saw might be surprising. If a customer wore handcrafted jewelry or clothing, or carried a handbag made from natural fibers, the craftspeople considered these clear signals that they would appreciate great craftwork. The craftspeople also believed that foreign tourists, who are fairly easily identified, would see their work as more exotic and be more likely to appreciate it. These two groups have something in common: they are likely to be wealthier than local customers wearing inexpensive items such as plastic jewelry and carrying synthetic handbags. Yet the craftspeople offered discounts to both of the wealthier groups and charged more—market price or even above—to the poorer customers. Market price (or higher) for the poor, discounts for the rich. It seems strange and unfair, but in creative work money is just part of the transaction—appreciation is the other part, and for the artist, this is a tradeoff. In reporting evidence from social science, we often end up looking at behaviors that make sense on one dimension and not on another. I perfectly understand the artist who is willing to give a discount to have a piece appreciated. I don’t like the idea of the richest customers getting discounts. I suppose the best thing to do is not to bargain too much when buying art as a tourist. Hand-crafted items from local artisans should provide the artisan with both appreciation and a better standard of living. Ranganathan, Aruna. 2017. 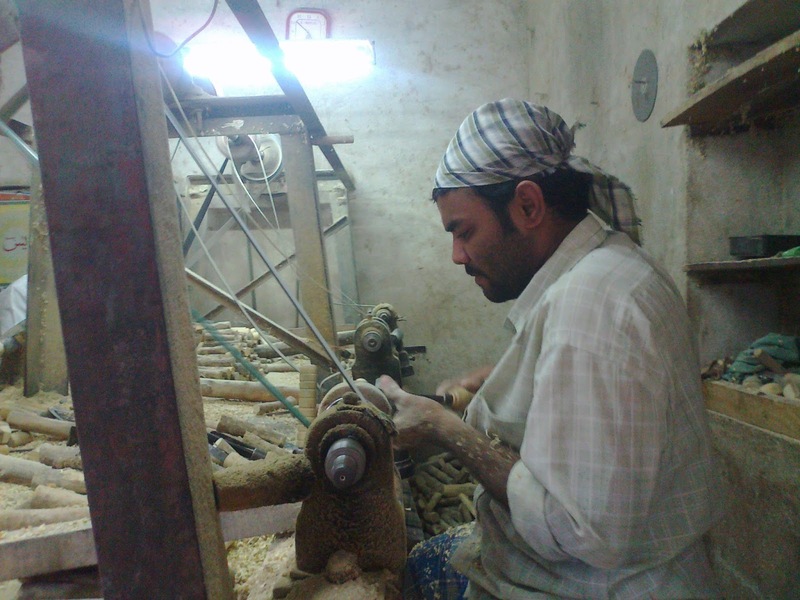 "The Artisan and His Audience: Identification with Work and Price Setting in a Handicraft Cluster in Southern India." Administrative Science Quarterly, forthcoming.